The National Bank of Abu Dhabi (NBAD) has launched a security service that sends cardholders a dynamic code via SMS for each online purchase to further increase the cardholder’s safety measures against possible fraud. Nbad’s one time password (OTP) is a six-digit code which adds a second-level of authentication each time NBAD cardholders perform an online shopping transaction on a verified by Visa /MasterCard SecureCode participating website. 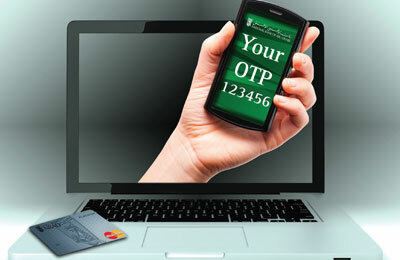 OTP is sent via SMS on the cardholder’s registered mobile with the bank. Those cardholders who have an nbad Online account can also use their nbad Online RSA Token, a statement from the bank said. “The National Bank of Abu Dhabi is the first bank to implement the dynamic one time password for online shopping and this reflects NBAD’s continuous endeavour to provide our credit cardholders the most advanced technology in offering convenience and security,” said Navneet Dave, the head of cards at NBAD. It replaces the existing static verified by Visa / MasterCard SecureCode password which previously required an activation code as well. NBAD’s security has been one of the strongest in the industry. NbadOnline banking requires a dynamic code generated by an electronic token, which is in addition to the password required for login. “Security and measures against fraud is a key pillar of NBAD and we continuously adopt means that balance convenience and security for our customers,” said Dave.